Welcome to Speycast Media. 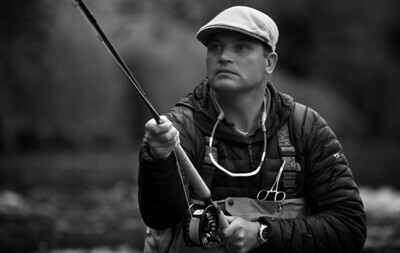 My name is Eoin Fairgrieve and for over 26 years I’ve worked as a guide and fly casting instructor on the River Tweed in Scotland. Each season I'm fortunate to spend a great number of days on the water teaching modern speycasting techniques for Atlantic salmon. From a photographic perspective, I've been fortunate this has offered me some great opportunities to capture a range of fly fishing images. Whether it be the power and intensity of a freshly run salmon or the graceful movement of a well executed speycast, my camera is always close to hand. With this keen interest in angling photography, I've supplied a range of images to leading angling publications, fly fishing retailers and major tackle manufacturers, many of which are included in the site.